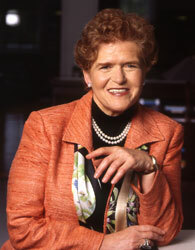 Deborah Lipstadt, the Dorot Professor of Modern Jewish History and Holocaust Studies at Emory, is one of the leading Holocaust scholars in the United States. Emory University professor Deborah Lipstadt has been appointed to the United States Holocaust Memorial Council. President Barack Obama announced June 7 his intent to appoint her and other individuals to key posts in his administration. Lipstadt is the Dorot Professor of Modern Jewish History and Holocaust Studies at Emory and one of the leading Holocaust scholars in the United States. She is the author of the recently published “The Eichmann Trial.” Her book “History on Trial: My Day in Court with David Irving” is the story of her libel trial in London against David Irving, who sued her for calling him a Holocaust denier. Lipstadt was an historical consultant to the U.S. Holocaust Museum and helped design the section of the museum on the American response to the Holocaust. President Bill Clinton previously appointed her to two terms on the U.S. Holocaust Memorial Council. From 1996 to 1999 she served on the U.S. State Department Advisory Committee on Religious Freedom Abroad. In this capacity she, together with other leaders and scholars, advised Secretary of State Madeline Albright on matters of religious persecution abroad. In 2005 she represented former President George W. Bush at the 60th anniversary commemoration of the liberation of Auschwitz.